In the meantime, Wolf Minerals shares will remain suspended on the ASX. 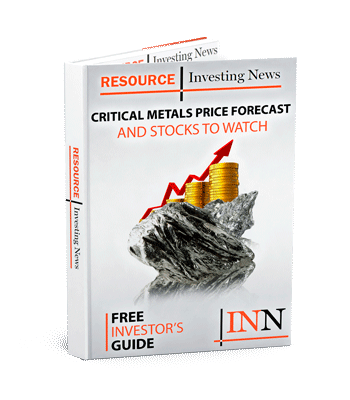 Specialty metals producer, Wolf Minerals Limited (ASX:WLF,AIM:WLFE) has released an update in relation to its financing arrangements and the standstill arrangements with the company’s existing senior lenders. As announced on July 30, 2018, the company has been working with its key financial stakeholders to develop longer term funding solutions required to provide the Company with capital prior to the expiry of the standstill period on October 28, 2018, to progress further production improvements. The company’s discussions with those stakeholders are ongoing and the company expects to conclude those discussions this week, following which a further announcement will be made. However, should the Company not be able to satisfactorily conclude its discussions with those stakeholders within the next two days, it will not be in a position to meet its short term working capital requirements after that point in time. The company’s shares remain suspended from trading on ASX in accordance with ASX Listing Rule 17.2 pending the release of an announcement regarding finalization of its audited annual financial statements and Annual Report for the year ended 30 June 2018.